Dejan Lovren has not travelled as part of Liverpool’s squad for this week’s training camp in Marbella, as his recovery from a hamstring injury continues. The Reds have headed to Spain for a four-day break, with Klopp initially naming Lovren as part of his 31-man group on the trip alongside the likes of Alex Oxlade-Chamberlain and Rhian Brewster. But while that pair have joined the squad in the Costa del Sol, the Croatian centre-back did not make the plane, instead remaining on Merseyside with Joe Gomez. Lovren has sat out of the last five games with a hamstring problem aggravated in the 2-1 defeat to Wolves in the FA Cup on January 7, only making the substitutes’ bench once in that period. 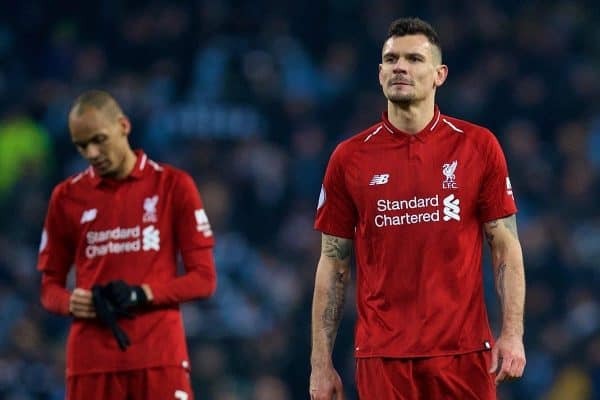 Now, speaking to the club’s official website, Klopp has revealed that Lovren is in a “tight race” to return to fitness for next week’s Champions League clash with Bayern Munich. “Dejan is not here and Joe [Gomez] is not here,” the manager explained. This would suggest it is very doubtful Lovren will be back to start against Bayern in the first leg at Anfield, leaving Klopp with few senior options at centre-back. Gomez (leg) is not due back for at least another four weeks, while Virgil van Dijk is suspended for the February 19 clash after picking up three bookings in the group stage. Therefore, Joel Matip is Liverpool’s only fit, natural centre-back, with Fabinho likely the next in line to partner the Cameroonian. Seventeen-year-old Ki-Jana Hoever, who replaced Lovren after six minutes at Molineux, has been included in the Reds’ updated squad for the knockout stages, but should not be considered a viable alternative. 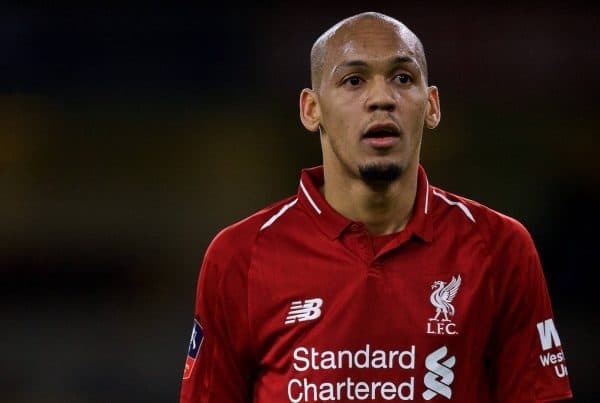 If Fabinho does shift back into centre-back, this leaves Klopp without one of his best midfielders, though Wijnaldum, Naby Keita, Jordan Henderson, Milner and Adam Lallana should all be available. The hope will be that Lovren is able to recover in time, but the outlook is not good.